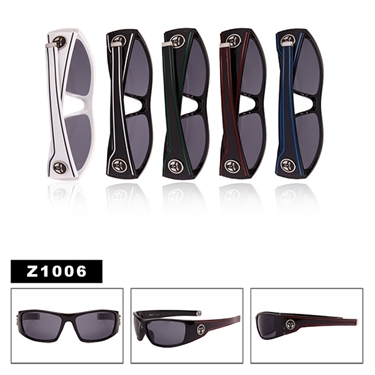 Brand new Zombie Eyes™ men's wholesale sunglasses with an urban flair! This is one of several hot new styles in stock now and ready to ship! On top of all of this, if your order totals at least $200.00 or more you could qualify for free shipping! With all of this savings you can't afford not to buy from us! Your discounts will be automatically deducted at check out.